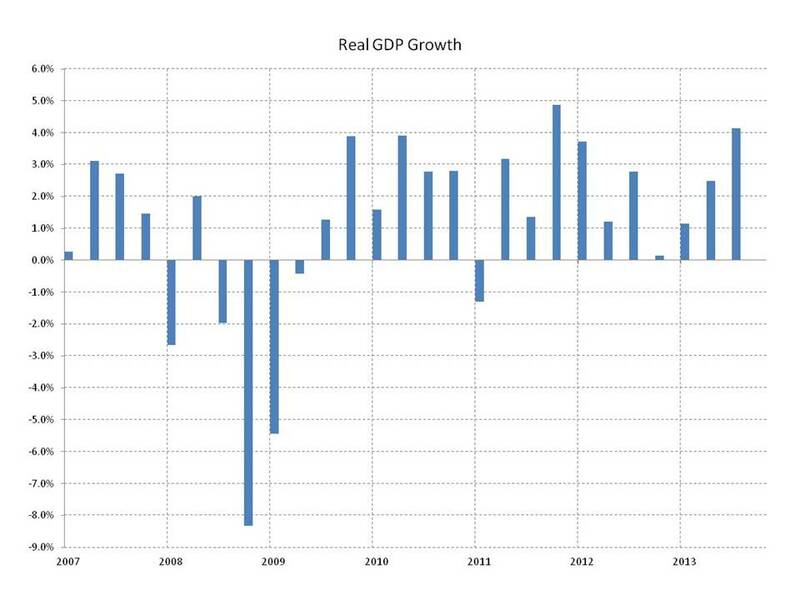 The Bureau of Economic Analysis (BEA) released the third estimate of real GDP growth for the third quarter of 2013. Real GDP growth was revised upward to a seasonally adjusted annual rate of 4.1%, from the second estimate of 3.6%. 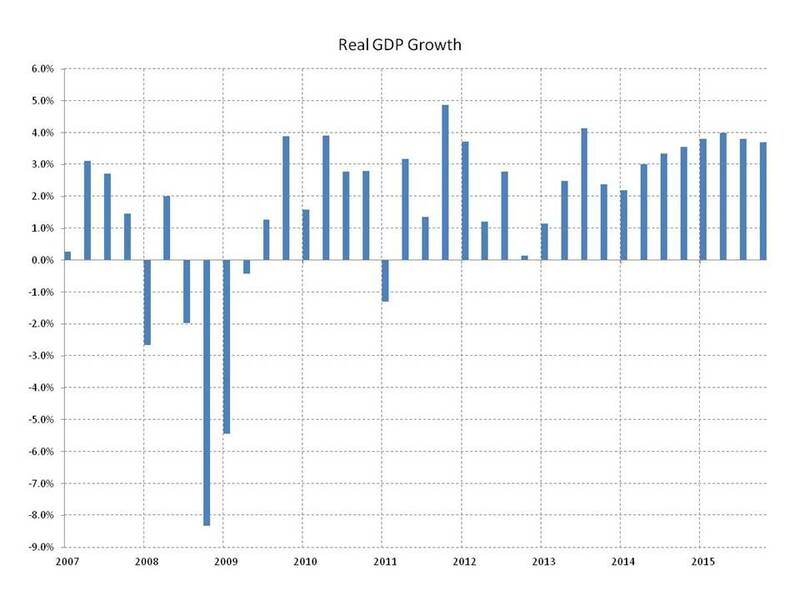 Real GDP grew at annual rate of 2.5% in the second quarter and 1.1% in the first quarter. The first (or advance) estimate of real GDP growth was 2.8% and the second estimate was revised up to 3.6%, but that higher growth was somewhat misleading because it was heavily (almost exclusively) concentrated in inventory investment. That’s bad because it’s not just a one-time thing, in this case it’s likely to reversed in subsequent quarters because the push up was unsustainably large. The upward revision from 3.6% to 4.1% in today’s report is good news because it’s the right kind of growth: growth in personal consumption expenditures (PCE) and business fixed investment (not inventory investment). The upward revision to PCE growth (from 1.4% to 2.0%) is particularly good because it changes the recent pattern from declining consumption (typically two thirds of GDP) over the year, to a more encouraging rebound from a soft second quarter. Nonresidential fixed investment growth was revised upward from 3.5% to 4.8%. These revisions shift more GDP growth toward consumption and investment (sustainable growth) and away from inventory investment (shelf restocking). There will still be some payback (subtraction from growth) in subsequent quarters as inventory investment slows to more normal levels, but stronger growth in consumption and fixed investment will ease the blow. 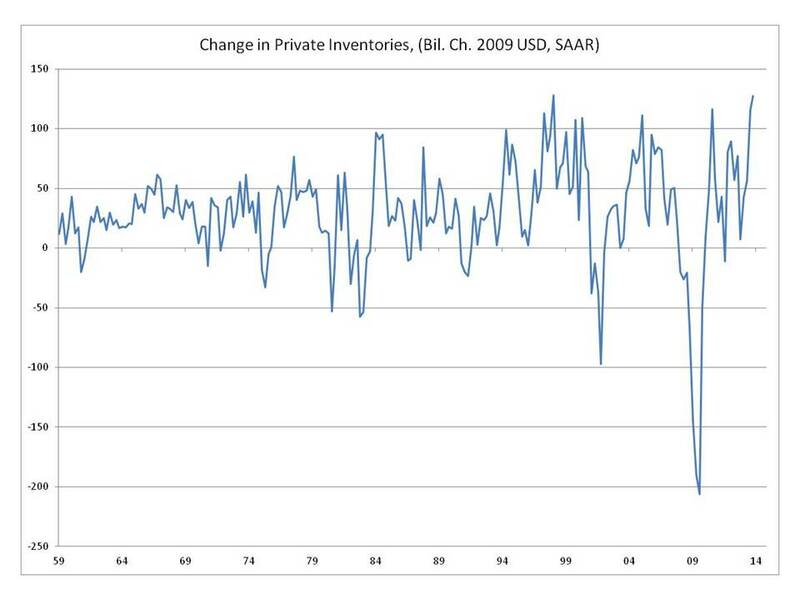 GDP Growth in the Third Quarter, Second Estimate – Inventory Investment, Blessing or Curse? The Bureau of Economic Analysis (BEA) released the second estimate of real GDP growth for the third quarter of 2013. Real GDP growth was revised upward to a seasonally adjusted annual rate of 3.6%, from the advance estimate of 2.8%. 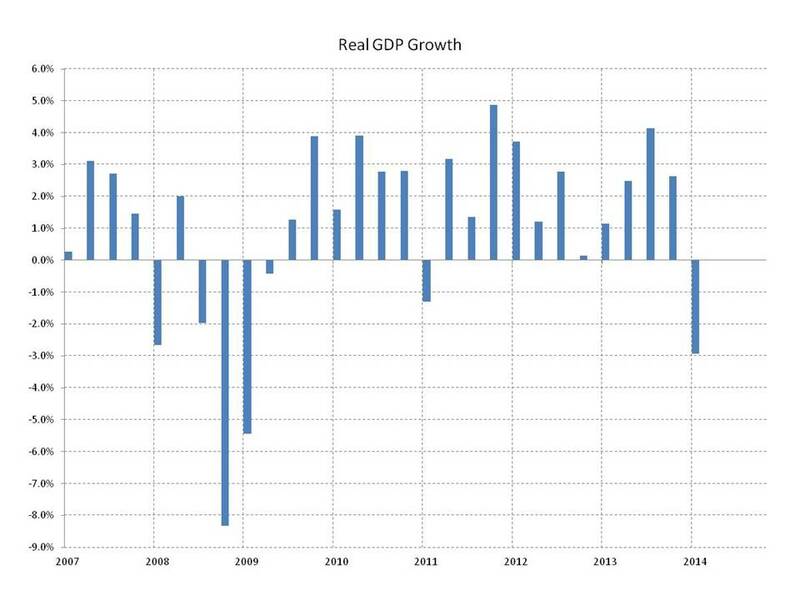 Real GDP grew at annual rate of 2.5% in the second quarter and 1.1% in the first quarter. The downside in last month’s advance estimate of GDP growth was that despite accelerating from 2.5% to 2.8% between the second and third quarters, overall growth was heavily reliant on inventory investment (0.8 of the 2.8 percentage points), and growth in personal consumption expenditures (PCE), typically 65%-70% of GDP, slowed. Today’s upward revision provided more of the same. The 0.8 percentage point improvement in GDP growth (from 2.8% to 3.6%) was more than accounted for by the upward revision to inventory investment, bringing its contribution to 1.7 percentage points of the 3.6% growth. And the growth in PCE, was revised down to an annual rate of 1.4% from 1.5%. We expect GDP growth to slow sharply in the fourth quarter with an inventory investment payback shaving 1.5 percentage points from growth, and possibly another 0.5 percentage points from growth in the first quarter of 2014.